WordPress introduced the Native Menu feature in WordPress 3.0 which allow theme designers to add any number of native menus into their themes. Native menus are useful because it allows users to freely decide which item should appear in their menu, you can mix and match items which include Categories, Pages and Self-defined links. CleanGenius is an all-in-one maintenance utility for Mac OS X 10.6 or higher. 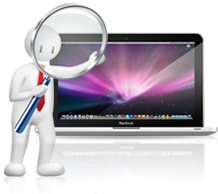 It is a cleaner software combined with Mac cleanup, disk space monitor and disk ejector functions. It offers the easiest way to keep your Mac running fast, clean and healthy.